We get dozens of e-mails asking for career advice each week. We actually try to answer every one. Sometimes, it's easy to make suggestions and provide resources. Other times, it's pretty difficult. Below is an e-mail we received from a reader. I challenge you to give him some advice in the comment section below. I warn you - this one isn't easy...and borderline controversial. What do you think he should do? "I'm 55 years old. I started working when I was 13 and have worked all my life. Most of the time I had 2 jobs at a time. In July, I lost my job. I have put out over 100 resumes out either by hand or by Internet. I am listed with 4 temp services. I have only had one reply. At the age of 40 years old, I did something stupid. I turned my back and let the store manager and his assistant manager walk out with something. Because they were good friends with the judge, I was the only one that was charged. I served 180 days and 3 years probation and paid the company back for something I did not do. I has been over 13 years since this happened and I have not gotten into any more trouble. My history shows that I am not a bad person. Why is it employers do a background check on me they don't look at the time when it happened and how long it has been? But, they hire people that they can't run a background check on, they don't know their history but they still get hired. How can you justify that? They don't have a history to go on, they don't have a social security number, and they are not even U.S. citizens. How is this right? I am going to lose everything because of this and the government does not care. What happened to the U.S.A. when we don't care about our people and when only care about illegal immigrates? They can get loans to start a business with no history, no work record, and no credit history. How can we justify this? You can't. If this is the way it is going to be done, we should change the country's name to Mexico, India, or whatever because you don't care about the Americans. I live where there are about 500 people and over 400 of them are non U.S. citizens. I have to watch them go to work everyday. I have worked for over 40 years, I can't even get unemployment because the last 2 years where I worked didn't take out taxes. But, I pay my taxes every year, and that seems to not count for anything. 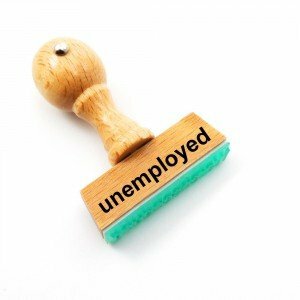 I have only drawn unemployment once in my lifetime, what happens to all the money that was paid in that? I have not gotten it. It was paid in my name and social security number, it should be mine with interest. No, our government got it and used it and now I have nothing to show but a get-out notice. Are they going to help me out now that I need help? No, they are not. How many homeless people are non U.S. citizens? None. They have our government, or should I say their government. This is sad. It's not run by the people because they lie and don't care. The jobs that I have applied for I have over 5 to 20 years experience at them. I can do the job but I don't get the chance to. All I want to do is work and take care of my family. Tell me what I need to do or who I need to talk to."